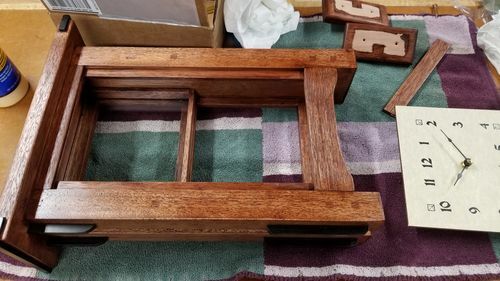 The clocks are made from Mahogany & Ebony. 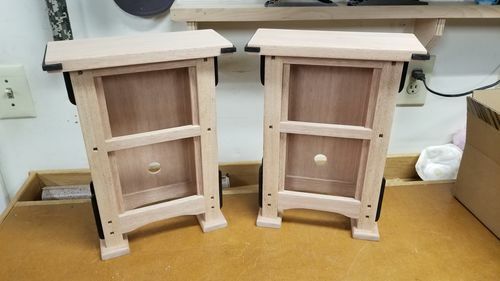 They are from WOOD magazines plans. 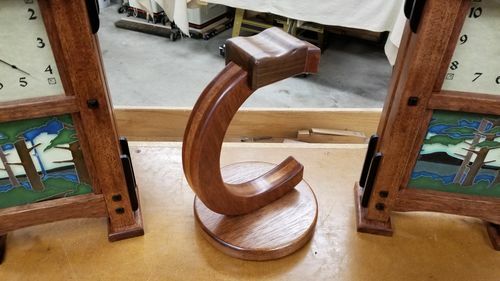 The headphone stand is made from mahogany , maple, & walnut with a mahogany stain and lacquer finish. The clocks were by far the most precise fitting things I have ever made. Unfortunately the photos do not show the real beauty of the finish. They look much better in person. 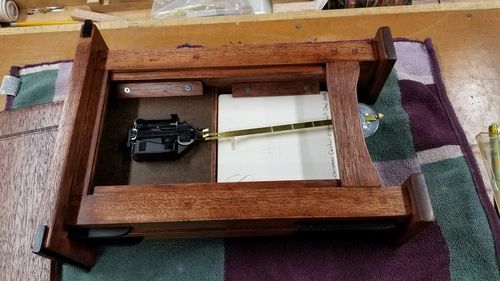 I want to thank Dale Maley for his help with this build. 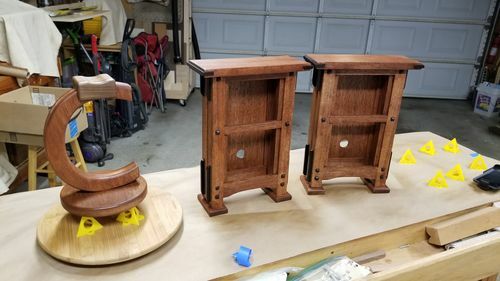 He has a very good step by step build process on his web site and he was generous enough to share that with me. Thanks for looking and Merry Christmas to you all! WOW, very nice work on all. Beautiful work on all of them!! 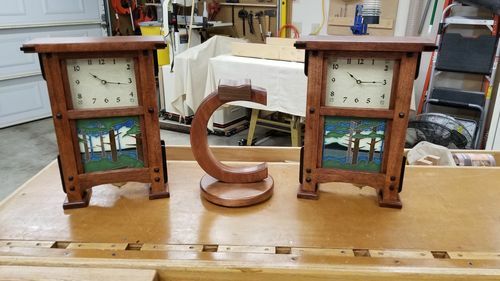 Good looking Clocks, just bought a book on G & G! Picture of all the ones he just harvested! Said he had to give them away on the street! He is picking Bananas and I get to shovel Snow? Nice work. Merry Christmas to you as well. Ha ha ha! It does look like one doesn’t it?